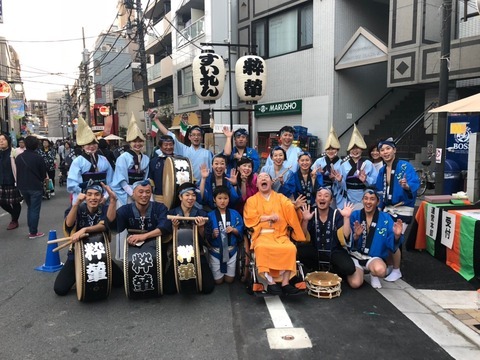 I joined the Edogawa-bashi Festival. It was a kind of a Halloween event. We did a short performance with Konpei-shisho who is a famous Japanese comedian. He joined an Awn-dance team in Tokushima before. Sui-ren usually does this kind of performance. So, if you want to have Sui-ren at your party or event, please contact us! I got the MVP! 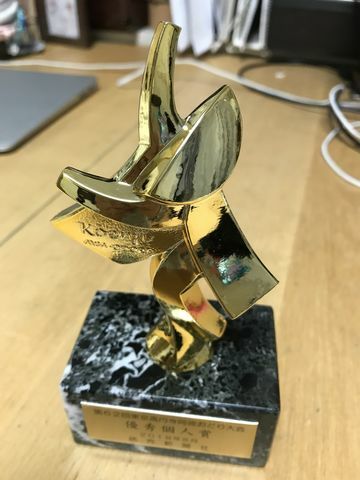 This is an award given by Suiren to members who contribute to the team. I am really happy to get it. The trophy is a symbol of a woman dancer. That's really cute. I thank the members who practice with me through the year. It was fun to practice at karaoke box. How lucky I am to have friends who I can play music with.